One sound at a time. The new SampleTank 4 has been re-designed from the ground up to be every musician’s “go to” workstation for music creation, with a completely new rescalable interface, a massively expanded sample library and a new cutting-edge sound engine with efficient disk streaming, to deliver more powerful music creation tools than you ever imagined. What might usually take dozens of plug-ins can be accomplished right inside SampleTank 4, for lightning-fast workflow that keeps your inspiration going. Find any type of sound fast and tailor them to your needs with the new deep, powerful editing options and a new modulation matrix. New dynamic “groove players” – an arpeggiator, strummer, and pattern and loop players – turn your sounds into songs faster than ever. Plus a new live mode makes SampleTank 4 the perfect performance partner, with the ability to create entire set lists and easily map every parameter just how you need it. Inspiring new sounds, powerful sound design features, advanced groove creation and tour-ready stage optimization. SampleTank 4 will take you wherever you want to go. Your “go to” virtual instrument is the one you open first; the one you trust to give you the sounds you need to get started or get the job done. SampleTank 4 now offers a massive sound library, with over 260 GB and 8,000 instrument presets carefully balanced across the widest range of styles, genres and sounds. SampleTank 4’s new library is the product of dozens of carefully conducted recording sessions in multiple cities across Europe and the United States as well as in our new, custom-built recording facility in Modena, Italy. This new library offers up to 200 GB of brand new content including exclusive high-quality recordings of concert piano, keyboards, guitars, bass, drums, strings, brass, synths, vocals, percussion and more; over 90,000 new samples in total, all with articulations and round-robins. Thanks to SampleTank 4’s new efficient disk-streaming engine, these sounds all load faster than ever and perform like never before. SampleTank 4 is available in 3 different configurations to fit every musician’s budget. Unlock the full power of SampleTank 4, plus 2,000 specially chosen instruments. That’s over 30 GB of sounds including 25 GB of all-new sounds. The real deal. Over 100 GB of carefully balanced samples, including over 70 GB of all-new sounds, for a total of 6,000 sounds. The largest sample library IK has ever produced, over 260 GB including over 200 GB of all-new sounds. That’s 8,000 sounds in total. * From any previously purchased product of a value of $/€99.99 or more. SampleTank 4’s fully redesigned sound Browser allows you to surf among the thousands of included sounds, and filter them by timbre, style, genre, mood, and more, to narrow down the exact sound fast or inspire your creativity with unexpected options. Detailed descriptions of each sound, effects and macro provide all the information you need at a glance, letting you focus on your music. SampleTank 4 makes finding or discovering sounds so effortless you’ll find yourself reaching for it every time. SampleTank 4 is now capable of so much more when it comes to creative sound design. Working with multiple sounds is a breeze with the new dedicated Layer interface that lets you set up layers and splitting points faster than ever. Opening the “Edit” panel of the Play window reveals the real power of SampleTank 4’s completely re-designed new sound engine, letting you dig into even the smallest detail. Choose from 16 filters, edit envelopes, oscillators, portamento, polyphony, and more. to find the right algorithm for your sounds. with different settings for each. SampleTank 4’s new modulation matrix gives you complete control over the organic complexity of your sounds. Easily link modulation sources like envelopes, LFOs, oscillators, and even individual instrument element. Your creativity is the only limit to designing even the most intricate soundscapes. Whether you’re looking to surgically craft a sound or just make an instrument sit better in your mix, SampleTank 4 gives you the controls to make it happen without opening another plug-in. the Arpeggiator, Strummer, Phraser and Loop Manager. The Arpeggiator offers fresh ways to create patterns. 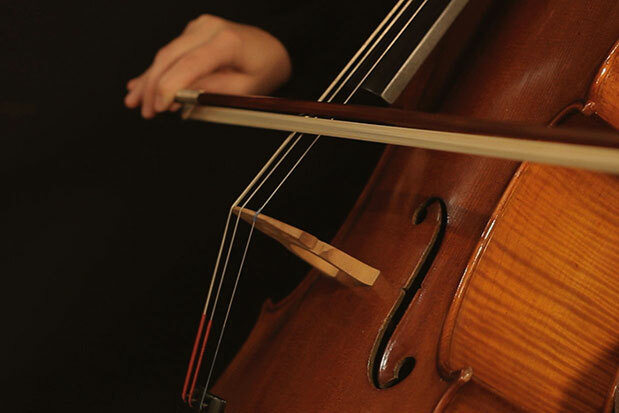 Draw in up to 16-note patterns, set velocity, length, swing and more. and then intelligently creates your accompaniment. Use the Phraser pattern player to browse over 4,000 MIDI patterns and map them to keys fast. Adjust intensity, humanize and swing for infinite variations. The Loop Manager boasts over 7,500 loops available between loop instruments. Pitch, grain, and time controls keeps things fresh. These 4 powerful new Players make SampleTank 4 one of the most powerful groove creation workstations ever. SampleTank has always made it easy to layer and mix sounds, and the new Parts interface streamlines this process even more, with visual indications of each sound loaded, and instant access to volume, pan, mute, and solo controls. Mixing is faster and more powerful, with in-interface access to all onboard effects. You can mix an entire track in one window, keeping you focused on the music and not menu-diving. solo, and routing, so you never have to leave the window. so you can adjust effects on the fly. for professional routing & mixing. of legendary studio consoles from all eras. SampleTank 4 adds 13 new effects for a grand total of 70. You’ve never heard effects like these in a virtual instrument – they’re all derived from our industry-leading AmpliTube and T-RackS software. From unbelievably realistic tube saturation to classic analog pedal effects, professional studio processors to creative effects, you can shape your sound with the same effects heard on countless hit records and film scores. SampleTank 4 also adds a new effects modulation matrix, giving you more ways to modulate and shape your sound than ever before. Map any parameter of the effects to the source of your choice, adjust curves and levels, and more. SampleTank 4 also adds to its full MIDI control a new seamless integration with IK’s iRig Keys I/O controllers. You can browse and load sounds from the DATA knob, control any of the 8 macros instantly from the touch-sensitive encoders, control the transport and even trigger loops or browse drum samples, or launch live-set ups directly from the integrated pad controllers. 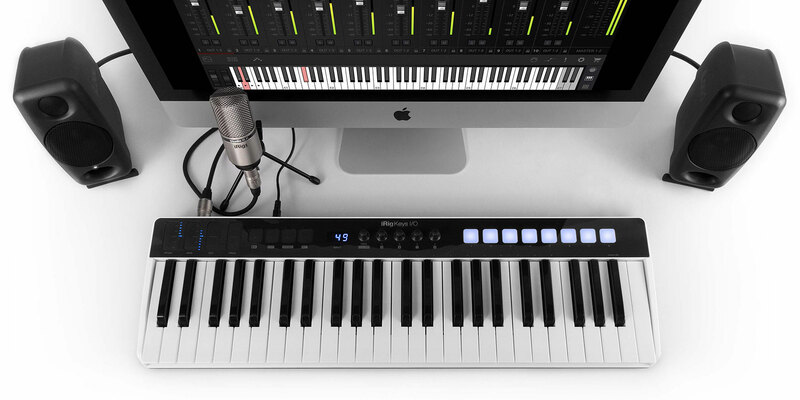 With SampleTank 4 and iRig Keys I/O, you have an entire production system that’s totally plug-n-play. Browse sounds and presets right from iRig Keys I/O and push to load. Control any of the 8 macros directly from the touch-sensitive encoders. Launch live setups, trigger loops or program drums with adjustable feel. 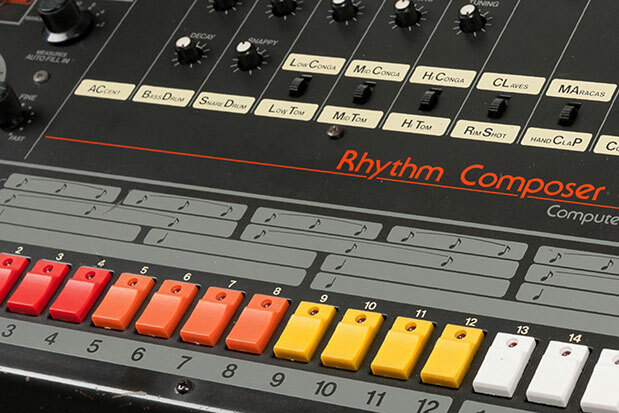 Control loops and grooves, and browse drum samples right from the keyboard. A great song deserves to be performed, so SampleTank 4 makes this easier than ever to hit the stage. A unique, re-designed Live mode lets you build an entire set list and gives you the controls you need right at your fingertips for your live performances. SampleTank 4’s Live mode lets you focus on the performance, not your software. Each song can have its own pre-set tempo, letting you use loops & grooves without needing to adjust settings between songs. And each sound has its own volume control, so you can turn up for your solo without needing to do a thing on stage. Quickly build a set list, and assign program change messages to each sound so you can switch directly from your controller. SampleTank 4 offers a massive library of sounds and grooves, with over 260 GB and 8,000 instrument presets carefully balanced across a wide range of styles, genres and sounds. It contains over 200 GB of new material assembled from dozens of high-quality recording sessions in cities across the U.S. and Europe, including IK’s new custom-built studio in Italy. The new library features high-end recordings of all-new concert pianos, keyboards, guitars, bass, drums, strings, brass, synths, vocals, percussion and more, all with articulations and round robins for the most realistic performance yet, with over 120,000 samples added. Click here to see the list of included instruments. Click the links below to listen to audio demos produced entirely with SampleTank 4. After auditioning over 100 pianos, we chose a spectacular Yamaha C7 as our flagship. Meticulously maintained and with a unique warmth and richness of tone, we carefully recorded it with multiple sets of microphones - including binaural mics! This unique piano offers unbelievable tonal flexibility and rounds out an impressive collection that’s sure to fit your needs. New recordings of famous electric piano sounds — tine-based, reed-based and based on FM synthesis — all from perfectly maintained instruments of the most desirable models and years. A unique sampling process gives you control over the harmonic content so you can tilt the character without touching an EQ. 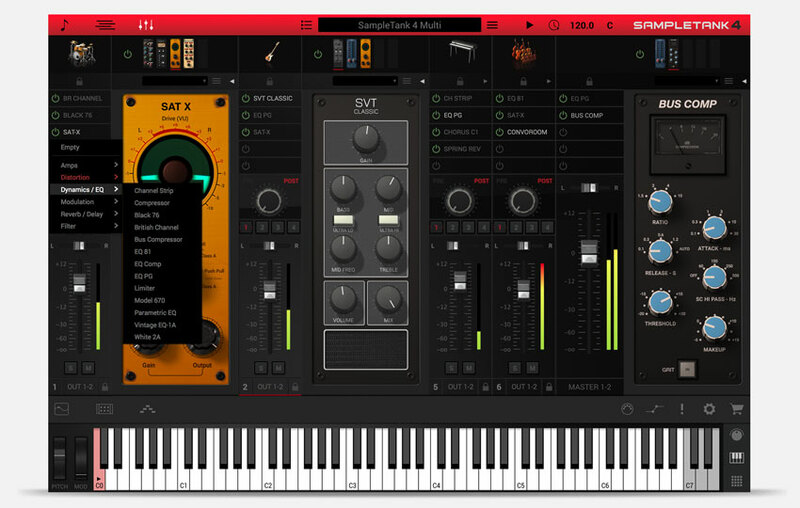 SampleTank 4 adds both studio standards and rare instruments. From a beautiful 5-string P-bass to an unmistakable 1960s California classic to high-end Stick touchboard bass, SampleTank 4 captures a wide range of velocities and articulations — including finger, pick, slap, pull and noise, adding to an already massive low-end collection. New Modern Brass ensembles offer a more contemporary feel than traditional libraries and unmatched realism. 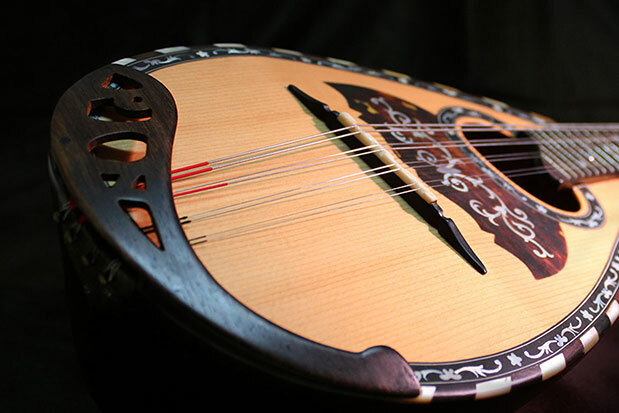 A full range of instruments were carefully recorded with an ear towards capturing the perfect tone for each instrument. 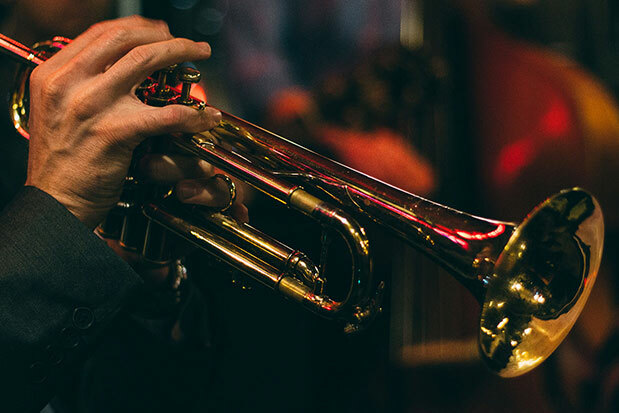 Pair these with the wealth of jazz and orchestral instruments also included to cover every style and genre. New marimba, vibraphone, xylophone and glockenspiel have all been recorded with multiple mallet types as well as a pristine vintage clavinet with multiple pickup positions to cover funk, pop, rock and more. 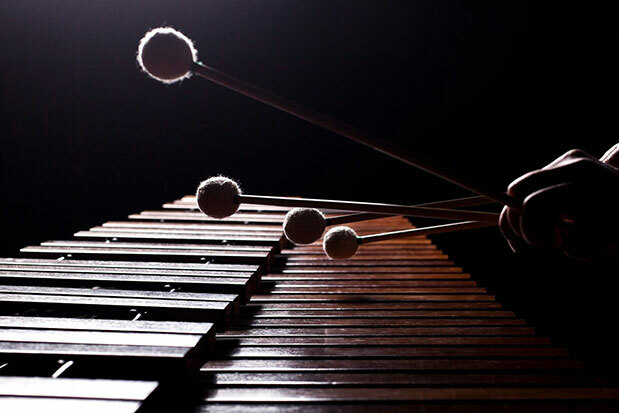 From glockenspiel to harpsichord to steel drums, SampleTank’s library covers a massive breadth and depth of chromatic instruments. 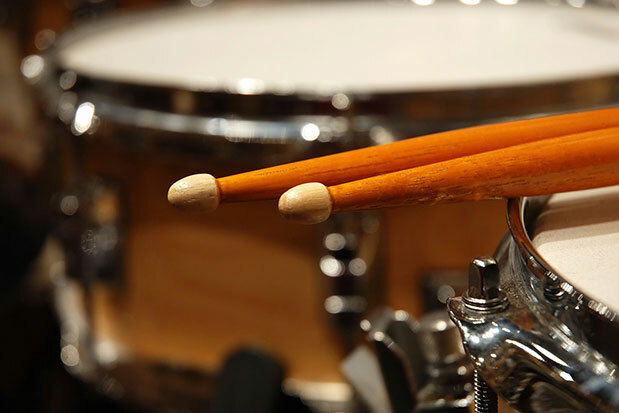 New acoustic drum kits add amazing color and sound with a range of carefully chosen close and room mics, to add the widest range of real drums to your library. Each kit is precisely tuned to fit into a mix perfectly with minimal effort, and put you behind the kit in a way you’ve never experienced. New electronic drum kits deliver the freshest beats – samples and loops in today’s most popular styles. 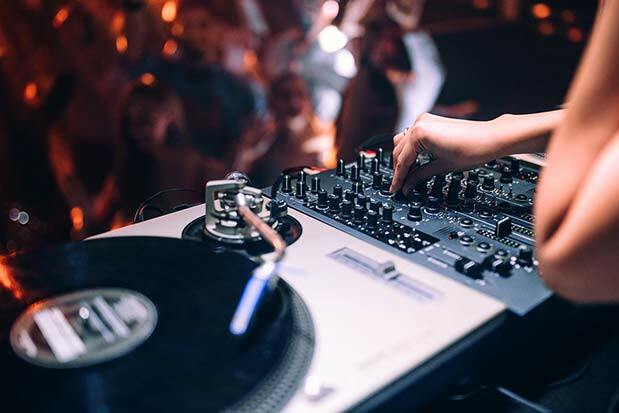 Taken from drum machines both vintage and modern, and carefully tuned to match the sounds coming from the clubs and concert stages of today’s biggest DJs and performers, these kits are built to power your next hit. From a percussive Vietnamese T’rung bamboo xylophone to a deep African balophone and full-range kalimba to a breathy Native American wood flute, SampleTank 4’s Ethnic category goes around the globe to bring lively and exotic tonal colors to your sonic creations. New electric and acoustic guitars surpass our previous libraries to deliver natural, authentic tones. Electric guitars sound amazing, and shine when used with the AmpliTube amp modeling effects included inside SampleTank 4. And new acoustics like a steel string Jumbo and Parlor, and a Brazilian Nylon String surpass even our American Acoustic library. All new Loops expand an already massive collection with fresh, modern Electronic Drum grooves inspired by today’s top charts from around the world. And an authentic new Latin library covers classic and modern grooves in a range of styles and rhythms. 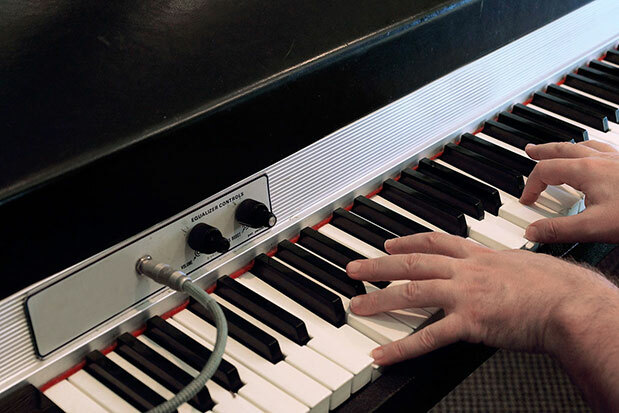 All the classics are here, including a top-condition tone-wheel organ with all the most famous drawbar settings as well as individual drawbars so you can dial in your own specific sound. 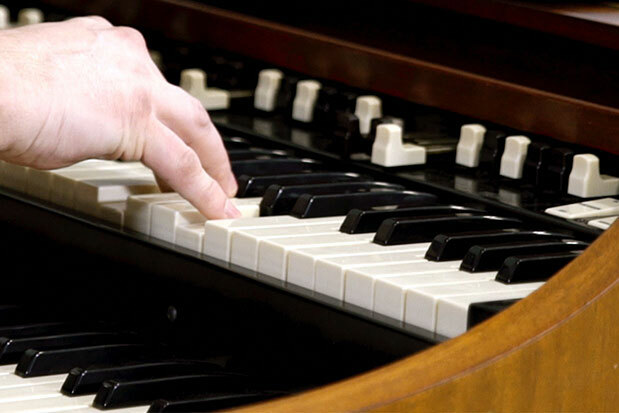 SampleTank 4 also adds the two most famous combo organs, with all the available settings, to complete one of the most comprehensive libraries available. 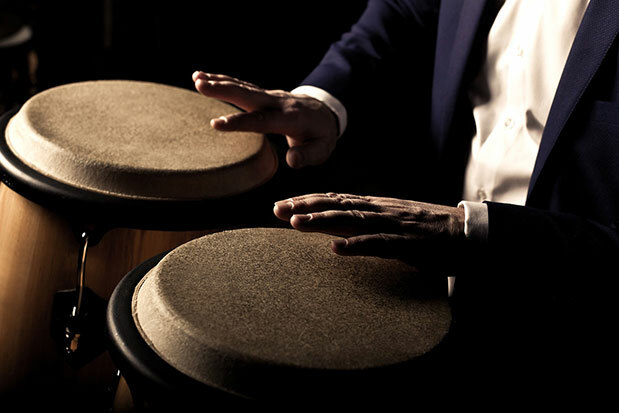 New Latin instruments, from conga, timbale, cajón and more were immaculately recorded to fit today’s modern styles. SampleTank 4 expands an already comprehensive library to offer fresh sounds captured from top performers and recorded using the latest techniques for unmatched authenticity. A new Cinematic FX collection adds to SampleTank’s impressive range of sound FX. These new sounds were created to make scoring and sound design for films, TV and video games faster and easier than ever. 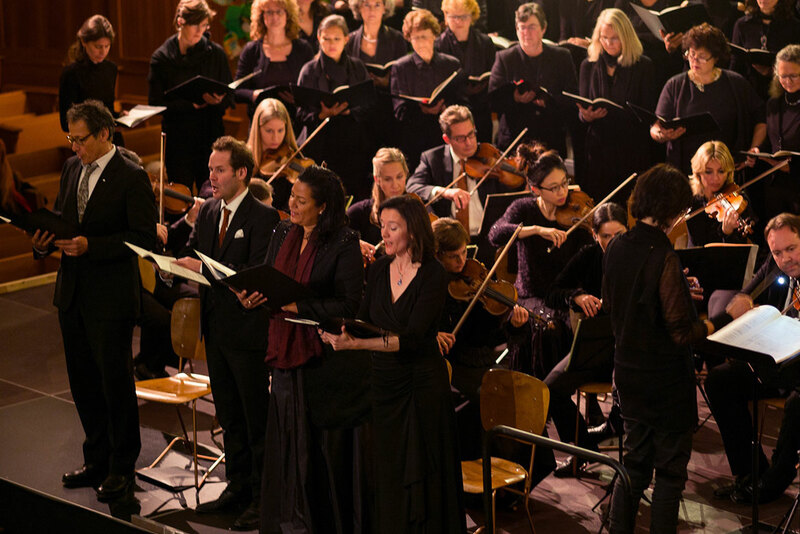 A new modern string sections offers multiple articulations and deep round robin sampling. SampleTank 4’s engine allows for true legato sampling, but these sounds push even further to capture all the minute details. This vibrant new library offers a great contrast with the wealth of orchestral sounds included, and with Miroslav Philharmonik 2. Everything from raw oscillators to searing leads, ultra-fat synth basses and animated and evolving sweeps, pads and atmospheres gives you the latest sounds for any production from cinematic to ambient, from EDM to pop, from jazz to hip hop. These modern new sounds offer a perfect complement to the existing vintage library in Syntronik. Our DRIFT algorithm that simulates the organic movement of both analog oscillators and acoustic instruments has been expanded in SampleTank 4. A new Pop Choir delivers a unique, modern sound completely different from the endless stream of concert choirs, to nurture your tracks with soul and style. You’ve never heard musicianship like this in a sample library before. Every technical aspect is perfect, but we worked tirelessly to capture the passion and humanity of these performances. 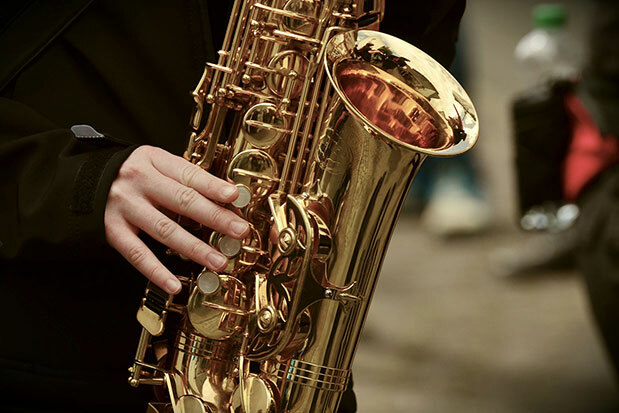 A new Pop Woodwinds ensemble adds new saxophones (Alto, Tenor and Baritone), and a new Flute, accurately capturing even breath and key noise, plus round-robin sampling, for unmatched realism. This complements the existing orchestral sample set, covering the full range of instruments from contrabassoon to piccolo. Enter the default mode of SampleTank 4: Play Mode. Play Mode has three main pages: Parts, Layers, and Mixer. Access the 3 main panels using the buttons of the top left of your screen. A newly designed Parts Panel makes layering sound easier than ever, opening up the possibility of total sound design freedom. Here you can adjust each of your sounds from Volume, to Pan, Mute, Solo, and more, all from a single screen. Easily test and swap layers of your sound or track, and save the combinations when you find one that suits you the most. 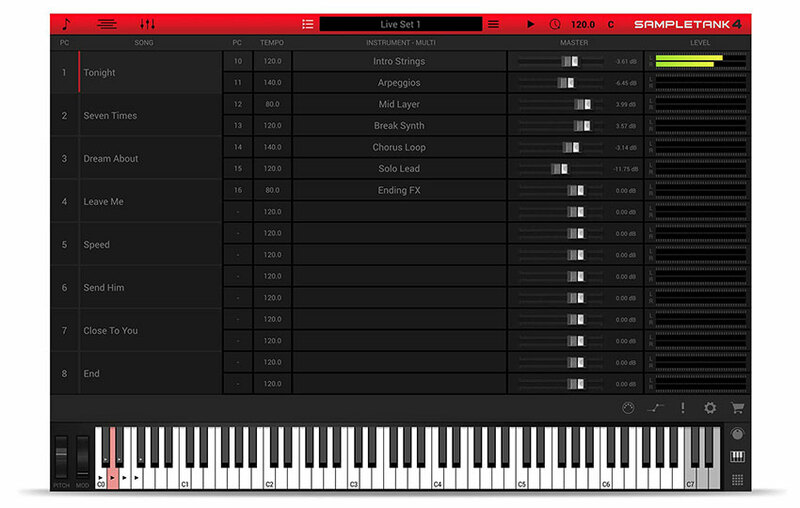 You can also set the MIDI Channel, Transpose, and Player/Loop status of each selected part. Within each of the sub panels (Edit, Effects, and Player) located at the bottom of the screen, you have the option to dig even deeper into each individual part. Switch between SampleTank’s 4 different HD sampling engines, including the proprietary STRETCH algorithm, to ensure the most natural sound. For more fine-tuning, you can choose from 16 different filters and adjust every parameter. Edit envelopes, oscillators, portamento, polyphony, and much more. The Edit panel offers expanded control over every element of the sound. You can adjust sounds, individual articulations, single samples or even pitch regions independently for nearly limitless control. Enjoy precise control of 4 ADSR envelopes for your sound. Edit envelopes visually and even watch the play-head in real-time to see how each stage affects the sound. Included are 3 pre-patched Amplifier, Filter, and Pitch Envelopes along with a 4th specifically available for Modulations. Now it’s time to make things move. Every element included in SampleTank gives you up to 6 LFOs to play with. This gives you all the sources you need for any kind of modulation you could ever imagine. 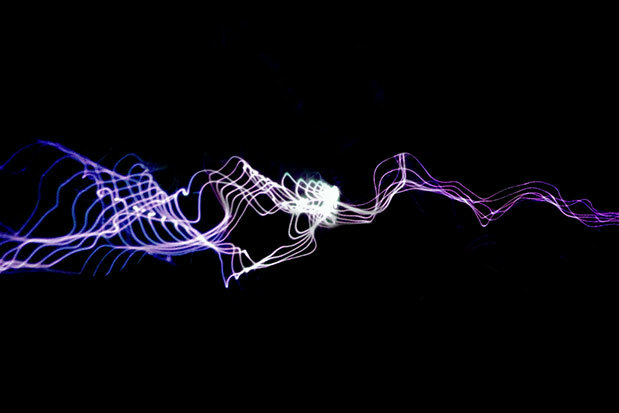 Visually experience the changes you make to your sound as the play-head runs through the manipulated waveform. The Filter section gives you access to SampleTank 4’s 16 high quality filters. 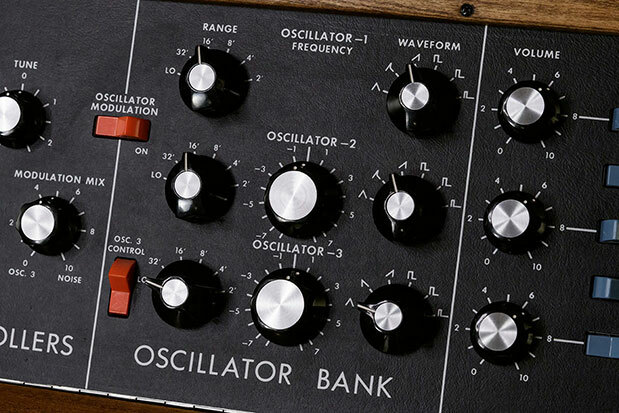 Add a precise digital filter or an analog-modeled filter derived from history’s most legendary synthesizers. Head back to the LFO section to modulate your filter to add life and movement to your sounds. Gain complete control over the organic complexity of your sounds. Modulation generators such as Envelopes and LFOs can be customized at any level to control nearly any parameter. This new addition to SampleTank allows you to draw motion into your sounds almost effortlessly, from subtle variation over time to complex on-demand sequences. Achieve highly complex sounds with a simple click and drag motion. Choose up to 5 of our 70 different effects included on SampleTank 4. Each effect slot as well as the entire effects chain can be bypassed, locked or saved as a preset. Choose effects ranging from different Amps, Distortion, Dynamics/EQ, Modulation, Reverb, Delay, and Filter. Choose up to 5 effects per sound, from the 70 different effects included in SampleTank 4. 4 powerful independent generators and players are included to help you create the perfect, arpeggios, guitar strums, MIDI patterns, and loops. A new Arpeggiator generates unique musical patterns based on incoming MIDI notes. Featuring up to 32 steps of variable pitch, velocity, modulation source, step length modulation, multiple playback modes, and hundreds of arpeggio presets the possibilities are virtually endless. Or create and save your own presets to create iconic patterns you can use again and again. The Strummer mimics the strumming of realistic guitar strings. Select chords, keys, picking direction and neck position for unbelievably realistic results – the Strummer plays these chords in the way a guitarist actually would. 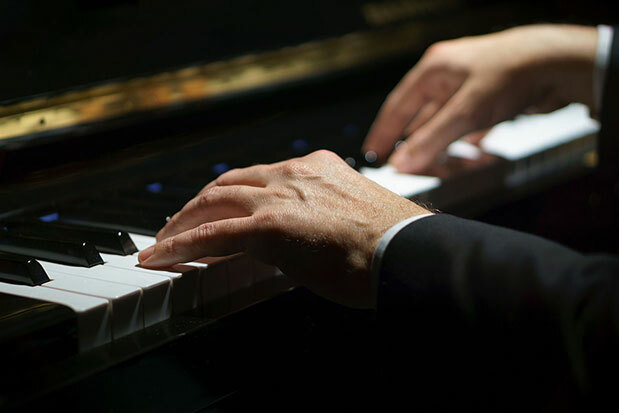 You can trigger chords from a single note, or play them in by hand for additional flexibility, and adjust length, intensity and so much more. The Phraser pattern player lets you choose from over 4,000 MIDI patterns and instantly map them to keys or pads. Adjust intensity, swing, and quantization to dial in the perfect feel. Plus, you can switch between triggering in real-time or on the beat, instantly change keys and even adjust playback speed for endless variations. The Loop Manager displays, loops, lists, and triggers over 7,500 loops included on SampleTank 4. Easily experiment your sound with quickly accessible pitch, grain, time, direction, and reverse controls. Save your sequences to use later or to exchange specific parts of the sounds used inside the sequence. Layering lets you create very rich and complex sounds and textures. The addition of the Layers panel takes this feature to the next level. Add layers by pitch range to pair powerful low-end bass with delicate upper-register melodies in a single set of instruments. Further, you can layer sounds by velocity, so some sounds only trigger when playing softly and others only at the highest intensities. You’ll never believe how well you can control an entire symphonic orchestra of sounds from just one keyboard until you experiment with SampleTank 4’s layering. You can even build whole songs by setting certain sounds to latch when triggered – loops can start and stop and chords can accompany your playing automatically. 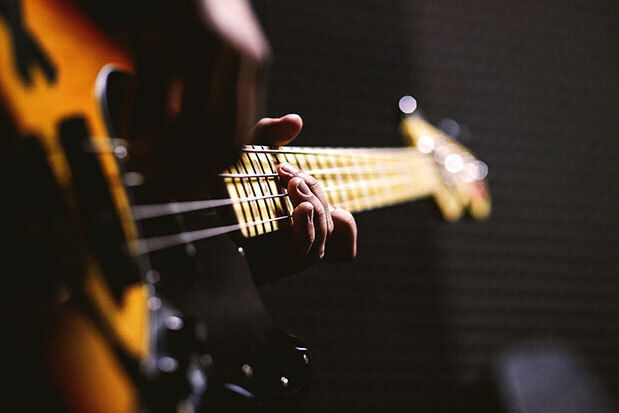 Don’t be afraid to test out different layers as each part can be easily locked, soloed, or replaced without affecting the rest of your sounds. SampleTank has always made it easy to layer sounds, whether your goal is to create an entire composition with just a single plug-in, or to combine sounds into one larger instrument. The new Mixer pages in SampleTank 4 are designed for the easiest and most natural workflow, to achieve the best mix in the least amount of time. What might usually take dozens of plug-ins can all be accomplished right inside SampleTank 4. Access all onboard controls and effects in a single interface, making mixing as fast and user-friendly as ever. You can even browse sounds from this window! You’ll never feel the need to click back to your DAW because all the tools you need are provided right in SampleTank 4. All the controls you need are all right at your fingertips. Tweak to your heart’s content with everything laid out in a clear, easy-to-read screen. This delivers a more streamlined experience, allowing you to dive deeper into the creative process without losing focus. Each Part is represented here on a mixing board-style layout. Each part has its own channel, with volume, panning, mute, solo, and output assignment. But SampleTank 4 goes deeper, offering you 4 effects sends and 5 insert effects per sound, too. You can even access each effect in-rack with a tap to adjust settings without ever leaving the same screen. The 5 effects sends let you share a common reverb or delay effect to help sounds fit together naturally, or you can use compressors to help glue different Parts into a single sound. All the tricks you’re used to in your DAW will work naturally right here. The Master Output lets you do the same, letting you use a bus compressor, parametric EQ or other built-in effect to shape your overall sound from a single source. Add vintage analog dirt or transparently maximize loudness. Several console-derived channel strips, compressors and EQs are added in SampleTank 4 to give your tracks the vibe of some of the most famous mixing consoles of all time. Derived from our award-winning T-RackS series, you can draw on many of our most popular mixing effects, like the British Channel, EQ PG, Vintage EQ 1A, EQ-81, and more, to give your entire mix vibes from the 60s, 70s, 80s, and more modern sounds. Achieve a quick and flawless mix from the comfort of your plug-in, with nothing else to load or route. With 70 high-quality, crisp, and beautifully designed effects, SampleTank puts you in complete control of your sound. This level of processing usually requires a deep dive into your DAW, but SampleTank 4 is designed to be the most user-friendly program of its caliber to get the sound instantly. Each individual effect slot can be bypassed, locked, or saved as a preset. That way you can keep your favorite settings to return to later. You can also save a series of effects as a chain to use throughout all of your different projects. 70 effects ranging from Amps, Distortions, Dynamics and EQ, Modulation, Reverb and Delay, and Filters are all at your control with a simple drag and drop. SampleTank 4 also includes more creative effects, like PianoLid, Wah 47, Tone Control, Phonograph, Lo-Fi, and Slicer. With this many effects to choose from, you are in control of your sound with the possibility to shape it how you please. Picture a set list that you create for a live gig, a group of songs that come together to make a particular performance. SampleTank 4’s Live Mode makes it easier than ever to assemble and prepare sets, but also offers new features to let you adjust on the fly. With the simple click of a button, switch out of Play Mode into Live Mode and get ready to shine. Each Set List contains up to 64 Songs, and each Song can contain up to 16 Multis or Instruments as a single section. You can move from sound to sound as each song progresses, or jump back and forth as the inspiration moves you. Adjust volume and BPM without leaving the Live screen so you’re ready for each new song without menu-diving. Drummer rushing a bit? The manual control makes it easy to adjust live. Solo not cutting through enough? You can bump up the volume faster than ever. BPM and volume can be set by song, or by section for more complicated pieces. You can change songs and sections within the Set List via user-assignable MIDI Program Changes, so you never have to take your hands off your instrument. Step forward by section or move freely around all your loaded sounds for truly free-wheeling performances. SampleTank 4 seamlessly connects with your different MIDI controllers in just a few simple clicks. You can define your personal parameters to control SampleTank 4 directly from any host device. Easily add SampleTank to your setup without having to change the setting you’re used to, thanks to its host automation functionality. Trigger loops, effects, filters, one-shot effects, and more – SampleTank can adjust to any workflow, in the studio or on stage. These 8 knobs can be customized to control any parameter in SampleTank 4. Additionally, there are slots on the Quick Parameters for 5 chosen effects, so you can enable or disable them with just the click of a button on your keyboard. Easily map MIDI from an external controller to any MIDI channel or note with up to 64 virtual pads. 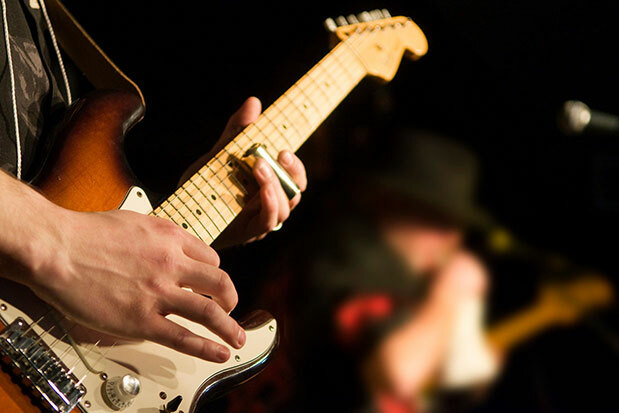 Trigger pre-assigned notes or grooves to bring a fun live element into your sets and be your own backing band. The virtual pads can be used to create beats, cue loops, add in one-shot effects, and more, to bring a unique and personal twist to your live sets. Looking for the perfect controller to bring SampleTank 4 to life? Look no further. The iRig Keys I/O has every feature you need to work flawlessly with SampleTank 4, both in the studio and in live settings. Choose between both our 25 or 49 piano key models – both come equipped with 8 pads and 5 knobs, all pre-assigned for use with SampleTank 4. Browse and load sounds straight from the data knob, and control all 8 Macros automatically with the other 4. The 8 trigger pads automatically map to trigger loops or drums, and even the transport controls automatically synch with SampleTank 4. Since iRig Keys I/O also come equipped with a high-quality audio interface, combining these keyboards with SampleTank 4 and your DAW of choice give you a powerful, fast, and portable recording studio in a single unit.